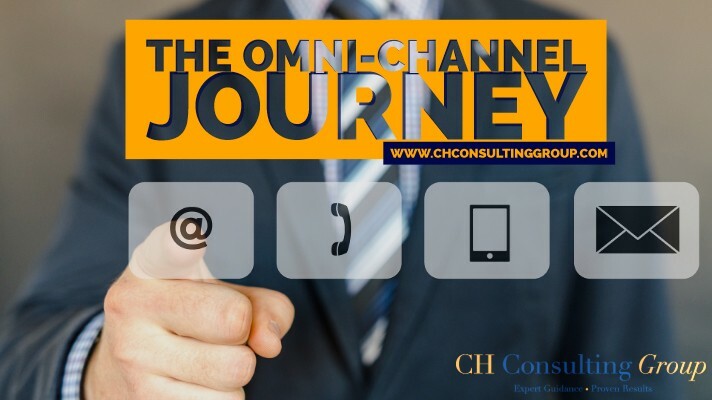 The Omni-Channel Journey: What’s Your Destination? Recently I attended the IQPC’s Customer Contact Week (CCW) in Las Vegas. Being one of the top industry events it’s nothing less than a melting pot of the latest advances in contact center technology and contact center practices. An event like this helps you assess your direction, explore the latest trends and acquire knowledge that will shape the future. It was a great event where thought leaders and SME’s presented valuable insight on AI, automation, employee engagement and retention to WFM optimization, etc. Most of which actually validated our thought process and reinstated our commitment to leading edge technology adoption we materialize for our clients. One of the most visible and important shifts in managing customer experience today is around using Omnichannel. While Omnichannel solutions are intuitively expected to impact customer experience, it actually goes beyond and impacts supplier control, inventory, consumer behavior and even purchase. For now let’s focus on the omni-channel journey and how it is linked to the customer experience. Almost every individual has at least one frustrating experience with contact center agents or other front line personnel. Examples of these include having to repeat the details of their challenges and concerns to the agent during a follow-up call– this is information they have already provided through other customer service channels, but for whatever reason is not documented in a central database for the agent to retrieve. These could lead to longer times in resolving customer queries, which affects agent availability and robs the customer of their time. If these become a recurring theme, the customer would see it as customer support having little to no understanding of their needs. When customers experience these frustrations, it signifies that a business lacks integration between their different customer support channels. This leads to the customer having to reiterate or repeat information every time they transfer to another contact channel. Furthermore, it would be likely that one channel is not up-to-date with a customer’s case and would often require them to seek information from other channels. This leads to longer call resolution time and agents following up at a later date. In addition, with these channels operating separately, there are often inconsistencies in the message and quality of service provided to customers. This has a risk of dissatisfaction and losing existing customers. This could also lead to the loss of new customers, as they might pass over your brand to another that delivers quality in the channel they prefer. The solution to a fragmented customer experience is providing customers with a strategic omni-channel experience. This customer-centric approach in contact center support would integrate every medium or channel being used. It requires contact centers to provide the same level of service through phone, email, video, SMS, chat, messaging applications, social media, and IoT (Internet of Things). This approach lets the customer seamlessly transfer from one channel to another, experience consistent service from all channels, and experience personalized customer support. Companies adopting this approach have claimed to experience significant improvement in retaining customers and improving customer relationships. However, it is not enough to just have an omni-channel experience for your customers. It’s important to ensure that your omni-channel strategy is well-defined and effective. This requires interdepartmental collaboration and a continuous feedback loop for continuous improvement. Staying in old (traditional) customer data analytics would make the full implementation of an omni-channel service close to impossible. The real-time knowledge of customer experience provides employees with the information they need to provide personalized customer service. Without the appropriate system, employees would still have to go through routine questions and processes. Most of the old systems of customer support seem robotic and impersonal. With the availability of leading edge technology in collecting data, there is no excuse for a contact center’s inability to deliver a personalized customer experience. For this approach to work, contact centers must stay on top of every engagement and interaction with each customer. Contact centers must use real-time in-journey customer experience mapping. This analytical tool would provide employees an easy way to know details regarding customer interactions. It helps provide customers with in-context answers.These in-context answers could be in the form of providing product suggestions the customer has not yet considered, awareness of specific customer needs at the start of an interaction, and knowledge of their personal preferences. Furthermore, with real-time information available to them, employees can take proactive measures to resolve customer queries quickly. These benefits lead to an enhanced customer experience garnering customer loyalty and retaining new customers. Although it will require implementation changes, commitment from every department within your organization and further investment, an omni-channel customer service would improve your contact center’s efficiency and drive growth. Whether it is problem resolution or ability to create rewarding customer relationships, a personalized customer experience is a sure shot way of enhancing customer experience. After all, if another company implements these changes ahead of you it will give them a competitive edge while you are left in the dust. This can be noticeable to your customers who may end up switching to your competitor due to a more evolved, omni-channel customer experience. The realm of technology support for better customer experience is advancing at a breakneck speed. What are you doing to embrace omni-channel support in your organization? Looking for guidance to develop and implement an omni-channel strategy that fits your needs? Contact me directly or call me at 218-286-4006 so that I can learn more about your future state vision and how I can use my knowledge and expertise to get you there!